Representatives of the World Bank (WB) had a working session with authorities of southern Binh Duong province on January 17 to discuss WB-funded projects and local infrastructure investment demand. Chairman of the provincial People’s Committee Tran Thanh Liem appreciated the capital the WB has given to Binh Duong to carry out household wastewater treatment and water drainage projects. These projects have considerably helped with local urban development, solving environmental pollution and improving people’s living conditions. He called for more capital support from the WB for environmental projects, including building a wastewater treatment plant for northern localities, upgrading wastewater treatment factories and collection systems in southern areas, and carrying out urban water drainage projects. Sudipto Sarkar, WB Water Sector Practice Leader for the East Asia and Pacific region, spoke highly of the outcomes of WB-funded projects in Binh Duong, especially those related to the water environment. He affirmed that the WB will continue considering loan provision for local projects between 2021 and 2025. Regarding the Di An wastewater treatment factory project, he asked the local administration to complete investment procedures to disburse the backup capital of 10 million USD before December 2019. This factory is among many water environmental projects financed through WB loans. It became operational in late 2018 and had a total investment of over 115.23 million USD, including a 92 million-USD loan of the WB. The project collects rainwater and household wastewater in five wards in Di An town, benefiting about 40,000 residents. 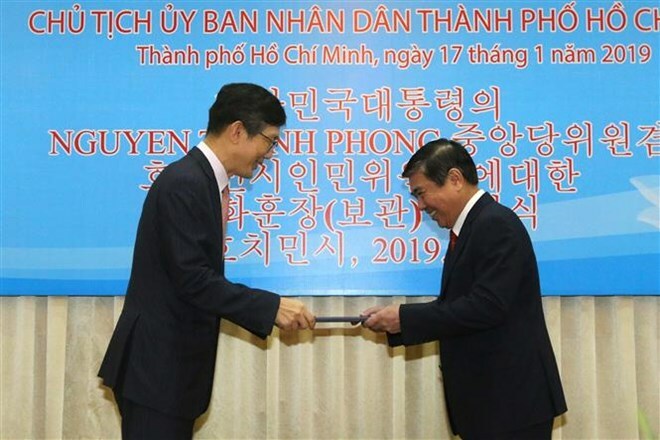 It is also expected to help ensure water quality of the Dong Nai River system that supplies water for over 12 million people in Binh Duong and nearby Dong Nai province and Ho Chi Minh City. Consul General of the Republic of Korea (RoK) in Ho Chi Minh City Lim Jea-hoon presented the third-class Bogwan Order of Cultural Merit to Chairman of the Ho Chi Minh City People’s Committee Nguyen Thanh Phong on January 17 in honour of his contributions to the development of Korean culture. Speaking at the event, Chairman Phong said it is not only an honour for himself, but the Ho Chi Minh City people too, adding that ties between Vietnam and the RoK have become closer via exchanges in diverse areas over the past years, notably the Gyeongju World Culture Expo 2017 which contributed to diversifying cultural exchanges between the two countries. 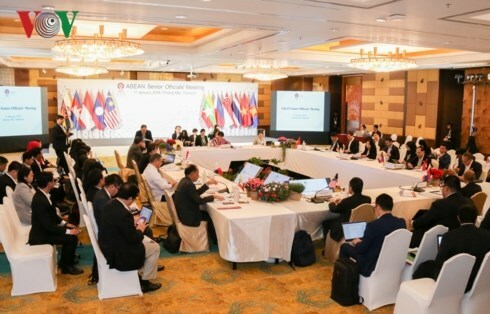 He expressed his belief that Ho Chi Minh City and Korean localities will build on their past achievements to contribute to bilateral cultural exchange, as well as go on to write further success stories, not only in culture and the arts, but across a range of fields. 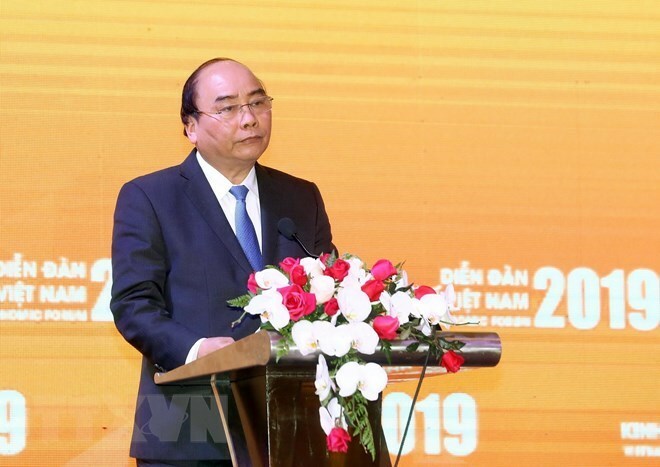 Promoting autonomy and self-reliance of the economy is an important development direction of the industry and trade sector in the context of the country’s extensive and intensive integration, Prime Minister Nguyen Xuan Phuc has said. He made the statement while attending a conference in Hanoi on January 17 to implement the 2019 tasks of the Ministry of Industry and Trade (MoIT). The ministry should seek ways to draw strong investment from both domestic groups and multinational corporations, and try to prevent a trade deficit in 2019, the PM said. He requested that the ministry build a long-term programme to ensure national electricity supply not only at present but also beyond 2020, 2025, and 2030. The most important solution to ensure fulfilment of the sector’s 2019 tasks is applying science-technology to increase labour productivity, he said, adding that the ministry should accelerate the restructuring of its State businesses and continue addressing shortcomings in slow and ineffective projects. The PM instructed the ministry to study, forecast, and make prompt responses to the global market’s fluctuations. At the conference, the PM hailed the ministry for making significant contributions to the national economic growth. Specifically, the industrial sector contributed 2.85 percent to the gross domestic product (GDP) growth of 7.08 percent. Vietnam’s Getting Electricity indicator leaped 37 places to rank 27th globally and among the top in ASEAN, he noted. The PM expressed his pleasure at the high trade surplus in 2018, mainly in trade with developed markets. Besides, the role of the domestic market for production was also strengthened. Another highlight is that the domestic market in 2018 maintained a stable double-digit growth, he evaluated. The ministry reported that the country’s exports in 2018 reached 245 billion USD, representing a year-on-year rise of 13.8 percent. Trade surplus hit a record 7.2 billion USD. The index of industrial production (IIP) rose by 10.2 percent, exceeding the yearly target of 9 percent. In particular, the processing and manufacturing sector recorded a high growth of 12.3 percent, affirming itself as the main driving force for the growth of the whole industrial sector and the country’s economy. After two years of handling 12 delayed or loss making projects within the industry and trade sector, two projects have now resumed operations after suspension due to loss, and two operating projects have gradually turning profits, the ministry reported. Addressing the event, Vietnamese Ambassador to China Dang Minh Khoi highlighted the traditional friendship between Vietnam and China, which was fostered by Presidents Ho Chi Minh and Mao Zedong, and many generations of the two countries’ leaders. Though the bilateral relations have experienced ups and downs over the past 69 years, friendly cooperation remains the main course of action and the only correct choice that is significant to the development of each country, he said. Developing its friendly and cooperative ties with China is one of the top priorities in Vietnam’s external policy of independence, self-reliance, multilateralisation, and diversification, he stressed. The diplomat expressed his pleasure at the positive development of Vietnam-China relations in recent years, proven by the effective implementation of the common perceptions reached by the two nations’ leaders. In 2018, the two countries celebrated the 10th anniversary of the bilateral comprehensive strategic cooperative partnership. Prime Minister Nguyen Xuan Phuc attended the first Chinese international import fair in Shanghai and had an important meeting with Chinese Party General Secretary and President Xi Jinping. The Vietnamese PM also met his Chinese counterpart Li Keqiang twice at multilateral forums last year. For the Chinese side, member of the Standing Committee of the Politburo of the Communist Party of China (CPC) and Secretary of the CPC Central Commission for Discipline Inspection Zhao Leji paid a visit to Vietnam, while Vice Premier Hu Chunhua attended the World Economic Forum on ASEAN in Vietnam. Foreign Minister Wang Yi twice visited Vietnam and had multiple meetings with Deputy Prime Minister and Foreign Minister Pham Binh Minh at multilateral forums, not to mention visits by leaders of ministries, sectors and localities of both countries. The Vietnamese ambassador noted that bilateral trade is a highlight in the two countries’ relations, which is estimated to reach 150 billion USD in 2018, according to statistics from Chinese Customs. Vietnam has been China’s biggest trade partner in the ASEAN for three consecutive years, and the eighth largest worldwide. Meanwhile, China has been a leading trade partner of Vietnam over the past 15 years and became the seventh biggest foreign investor in Vietnam in 2018, Khoi said. People-to-people exchanges have also been further strengthened. In the first 10 months of 2018, Vietnam welcomed nearly 6.5 million Chinese tourists, becoming the third most favoured destination for Chinese people after Thailand and Japan. Over the same period, more than 6.3 million Vietnamese tourists travelled to China, ranking second among foreign arrivals in China and first among those from ASEAN. Chinese Deputy Foreign Minister Qin Gang affirmed that China attaches great importance to its relations with Vietnam and will continue pursuing the motto of “friendly neighbourliness, comprehensive cooperation, long-term stability, and looking towards the future,” and in the spirit of “good neighbours, good friends, good comrades, and good partners”. China, he said, is willing to work with Vietnam to effectively implement the common perceptions reached by leaders of the two countries’ parties and states in recent times, as well as promote the bilateral comprehensive strategic cooperative partnership. The bilateral relations in 2019 will continue to see new strides forward with more important high-level visits and practical cooperation activities in preparation for the 70th anniversary of the establishment of Vietnam-China diplomatic ties in 2020, he added. He said that “fast and sustainable” are the key words and the motto for the strategy and action of the Government through the years. Vietnam has defined economy, society and environment as three key pillars in its development policy and models, said the PM, stressing that sustainable growth is not contrary to fast growth, instead they are the necessary and sufficient conditions for high growth over the long term, especially in the context of the fourth Industrial Revolution. The Government leader said that Vietnam is experiencing a transformation in growth model to a higher ladder in the value chain, with improved living conditions of locals and strong expansion of the private sector. Citing statistics that showed more than 130,000 new firms were established and 34,000 enterprises resumed operation last year, he said that was a good signal. Regarding missions and targets for 2019, the PM said that the Government will re-evaluate all aspects of its socio-economic governance from the central to local level, with focus on the mindset, the socio-economic planning process in the recent 10 years, and governance principles and model. According to the government leader, principles and governance models that are no longer suitable will be adjusted to complete targets in digital government, growth facilitation and government’s integrity. PM Phuc stressed that the Government will also re-assess the real situation and potential of key economic sectors with a view to creating new driving forces for development. The Government sees the digital economy as a driver and the locomotive for fast and sustainable growth of Vietnam, he underscored. 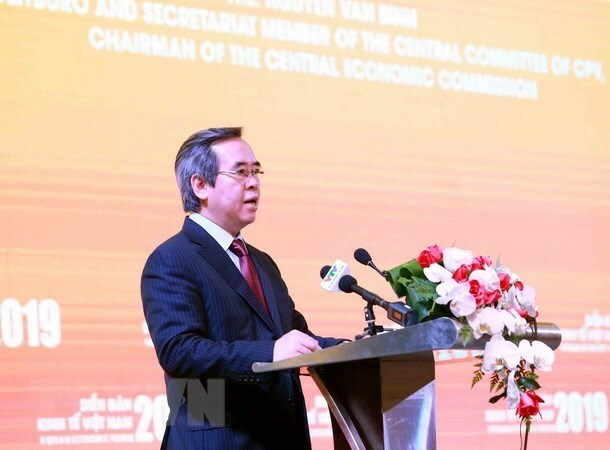 The Vietnam Economic Forum 2019 was jointly organized by the Government and the Party Central Committee’s Economic Commission on January 16 and 17 in Hanoi. 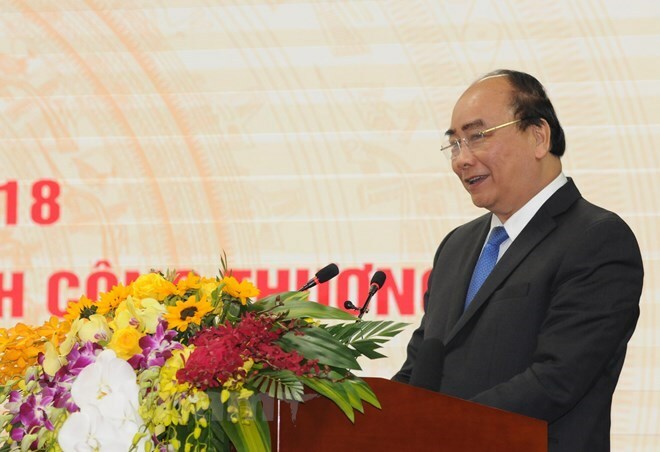 The event aimed to review the Vietnamese economy’s development in 2018 and discuss its prospects in 2019, as well as analyse opportunities along with difficulties and challenges facing the Vietnamese economy, in order to propose measures to promote innovation and bolster socio-economic growth. At a meeting with Secretary of the provincial Party Committee of Tran Van Ron, head of the delegation General Dieng Sa Run, vice commander of the high command, expressed his deep gratitude for the sacrifice that the the Vietnamese Party, Government and volunteer soldiers had made to help Cambodian people escape the Pol Pot genocidal regime. 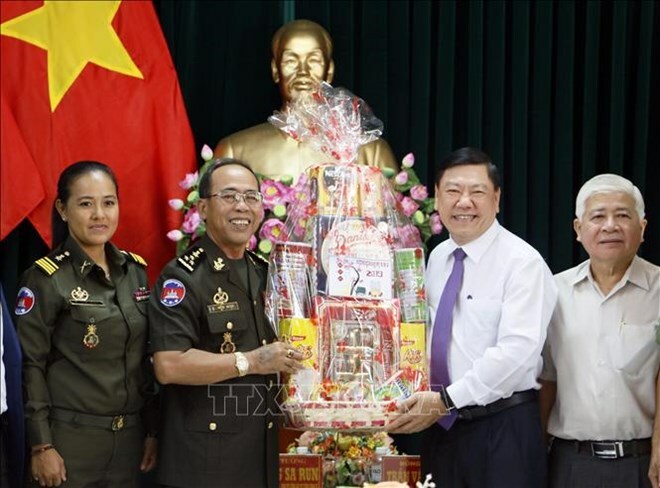 The official, who is also a member of the Cambodian People's Party (CPP) Central Committee, said visits of Cambodian officials to Vietnamese localities for lunar New Year greetings are aimed at enhancing the two nations’ valuable traditional solidarity, which is a tradition to be sustained by their future generations. General Dieng Sa Run took the occasion to wish the provincial authorities and residents a new year of happiness, hoping the solidarity between the two countries and armies in general and between Vinh Long and the Guard High Command in particular to last forever. Welcoming the delegation, Ron stressed Vietnam and Cambodia share a traditional friendship and solidarity, adding that Vinh Long has established twin relations with Cambodia’s Kampong Speu province. He informed his guests that this year, youths from the two provinces will hold a gathering with activities designed to educate them on the bilateral ties. Ron said he expects the cooperation and friendship between his province and the Guard High Command to be strengthened for the development of both nations. The Lao Embassy in Hanoi held a ceremony to mark the 70th founding anniversary of the Lao People’s Army (January 20, 1949 - 2019) in Hanoi on January 17. Chief of the General Staff of the Vietnam People’s Army and Deputy Minister of National Defence Phan Van Giang attended the event. Addressing the ceremony, Lao Ambassador Thongsavanh Phomvihane recalled the establishment of the Lao People’s Army (LPA) under the leadership of Kaysone Phomvihane on January 20, 1949, and the heroic battles that the Lao People’s Army (LPA) has fought since its foundation. He stressed that at present, the LPA is implementing important and decisive missions in national defence and construction. The ambassador noted that the LPA has been strengthening cooperation with the Vietnam People’s Army. The two sides have regularly exchange delegations at high levels, including ambassadorial level. 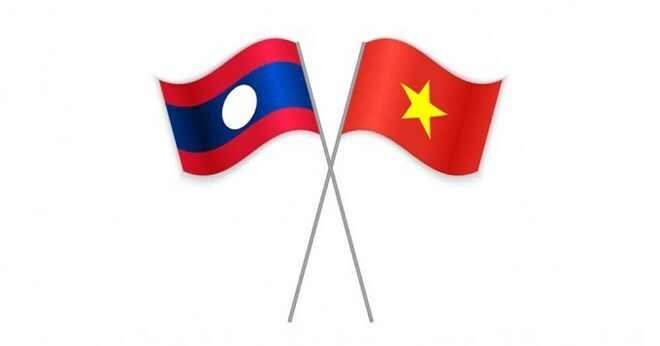 He expressed sincere thanks and gratitude to friendly countries and international organisations, especially the Vietnam People’s Army, for their great support and assistance for Laos over the past time. “We commit ourselves to doing our best to further strengthen cooperation for peace, stability, security and development,” Ambassador Thongsavanh Phomvihane said. Deputy Defence Minister Phan Van Giang said on the occasion of the LPA’s anniversary, high-ranking leaders of the two armies have made important mutual visits, contributing to enhancing the trust and the special ties between the countries. He expressed his firm belief that under the leadership of the Lao People’s Revolutionary Party, the LPA will gain even greater accomplishments in the cause of national construction and defence, for the sake of peace and stability in the region and the world. National Assembly (NA) Vice Chairman Phung Quoc Hien held talks with his Hungarian counterpart Jakab Istvan in Hanoi on January 17, during which Hien affirmed that Vietnam hopes to expand its partnership with Hungary in all fields. The Vietnamese NA Vice Chairman held that economic, trade, and investment cooperation between the two countries have seen continuous progress. Two-way trade in 2018 reached nearly 600 million USD, a surge of 70 percent over 2017, he noted. However, he stated that the results have yet to match the potential and aspiration of both sides, suggesting that the two countries should coordinate closely in organising trade promotion activities and support enterprises to seek cooperation and investment in areas of each other’s strengths. Hien expressed his hope that Hungary, as an active member of the EU, will continue supporting the development of the Vietnam-EU partnership, as well as the signing and approval of the bilateral free trade agreement and the investment protection agreement. Highlighting the growing ties between the Vietnamese and Hungarian parliaments, he proposed that the two sides increase both the exchange of high-level delegations and the sharing of experience on parliamentary operations. At the same time, the two sides should foster affiliation in supervising and speeding up the implementation of agreements signed by the two governments, as well as strategic cooperation projects, he said. Hien added that both sides should continue to strengthen consultations, collaboration, and mutual support at multilateral parliamentary forums, such as the Inter-Parliamentary Union (IPU) and the Asia-Europe Parliamentary Partnership (ASEP). 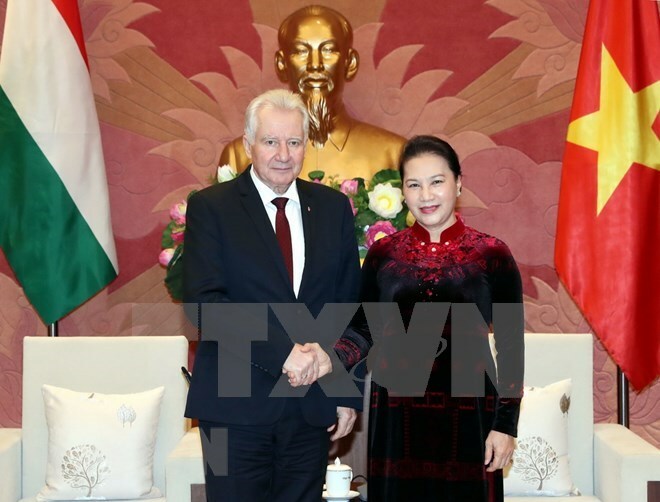 For his part, Deputy Speaker of the Hungarian Parliament Jakab Istvan said that his visit aims to maintain the delegation exchange between the two legislative bodies and contribute to further strengthening the traditional friendship and partnership between Vietnam and Hungary, as well as bilateral parliamentary cooperation. 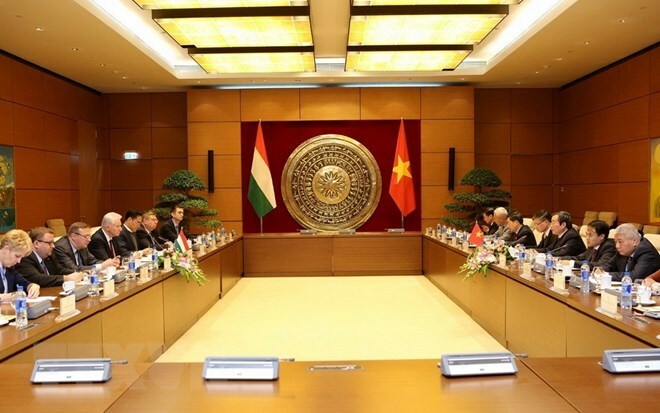 He affirmed that Hungary considers Vietnam an important strategic partner in the Southeast Asian region, while expressing his hope that the two parliaments will continue boosting collaboration for stronger friendship, trust, and mutual understanding among parliamentarians and the people of both countries. Lauding the achievements that Vietnam has gained in economic development over the years, Jakab Istvan suggested that the two sides should expand partnership in the areas of food safety, biotechnology, pharmaceuticals, and tourism. Addressing the event, Cuban Consul General in Ho Chi Minh City Indira Lopez Arguelles reviewed the glorious history of the Cuban revolution. She recalled that on January 1, 1959, after dictator Fulgencio Batista had fled Cuba the night before, in response to the call for uprising of Cuban leader Fidel Castro, the Cuban people were able to bring victory to their revolution. After 60 years, despite suffering from embargoes and isolation, Cuba has seen deep and wide expansion in its diplomatic relations with other countries, she said, adding that the Cuban people have stayed persistent with their principle of independence, sovereignty, and socialism. Extending greetings to Cuban friends, Vice Chairman of the Ho Chi Minh City People’s Council Pham Duc Hai said that the victory of the Cuban revolution 60 years ago was not only the success of the Cuban and Latin-American people, but also a strong source of encouragement for nations that were struggling for their independence and freedom, including Vietnam. Vietnam was proud to have been one of the first countries to set up diplomatic relations with Cuba in 1960, he said, stressing that the Vietnamese people will never forget the precious and whole-hearted support that Cuba gave to Vietnam during their difficult period of struggle during the southern liberation and national reunification. Hai stated that people of the city will continue to accompany Cuban people in the path of national construction and development. 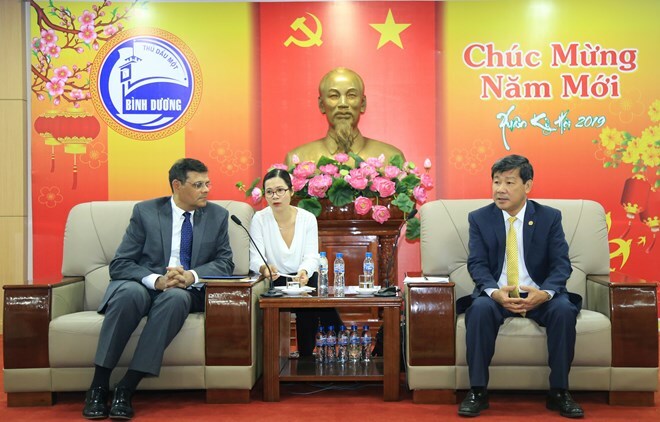 Currently, trade and investment cooperation between Ho Chi Minh City and Cuba has remained modest, but in the future, with further reform in Cuba’s economic policy, businesses of both nations will be able to strengthen coordination in many areas, such as healthcare, pharmaceuticals, consumer goods, infrastructure development, and tourism. 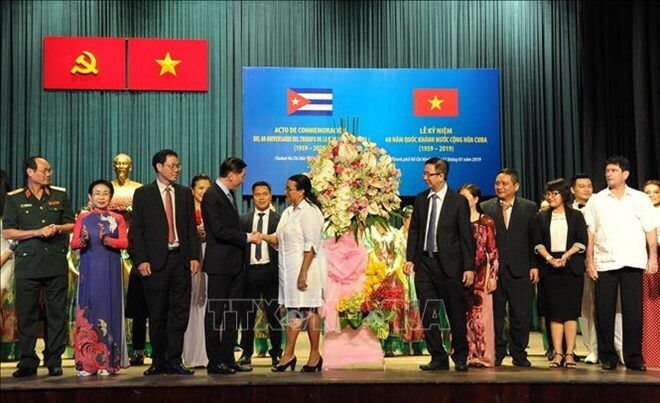 Thanks to the willingness and efforts in cooperation of both sides, the economic and trade partnership between Cuba and Vietnam, and Ho Chi Minh City in particular, will thrive in the future, he said. 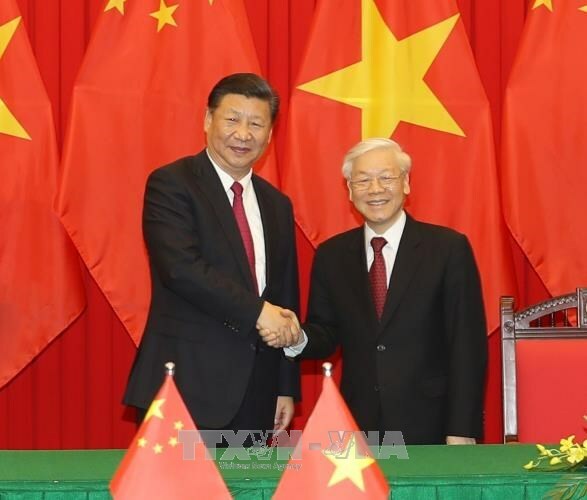 General Secretary of the Communist Party of Vietnam Central Committee and President Nguyen Phu Trong has exchanged greetings with his Chinese counterpart Xi Jinping on the occasion of the 69th anniversary of diplomatic ties between Vietnam and China (January 18, 1950-2019). On the occasion, Prime Minister Nguyen Xuan Phuc and Chairwoman of the National Assembly Nguyen Thi Kim Ngan also exchanged congratulatory messages with their Chinese counterparts, Premier Li Keqiang and Chairman of the National People’s Congress Standing Committee Li Zhanshu. Deputy Prime Minister and Foreign Minister Pham Binh Minh, who is Chairman of the Steering Committee for Vietnam-China Bilateral Cooperation, swapped greetings with State Councilor and Foreign Minister Wang Yi, who is Chairman of the Steering Committee for China-Vietnam Bilateral Cooperation. 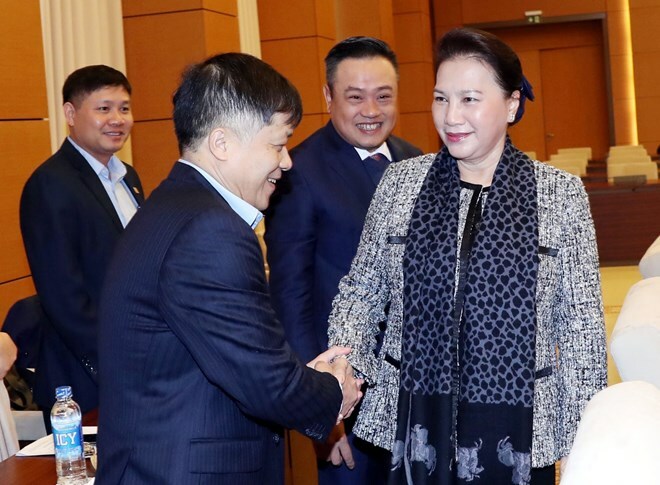 National Assembly (NA) Chairwoman Nguyen Thi Kim Ngan had a working session with the Vietnam National Oil and Gas Group (PetroVietnam) in Hanoi on January 17, promising to handle difficulties in terms of policies and laws facing this sector. The top legislator recognised the firm’s achievements last year, including surpassing the crude oil exploitation target and restructuring its apparatus. It contributed more than 120 trillion VND (over 5 billion USD) to the State budget despite numerous difficulties. She said PetroVietnam’s activities have helped ensure energy security for national socio-economic development, industrialisation and modernisation. The Party and State highly value the group’s important role in national development and defence, she noted, adding that the NA pays special attention to issuing the revised Petroleum Law and perfecting the legal system relating to oil and gas activities. Ngan asked the group to build on what it has attained and take into account the domestic and international situation while performing its tasks. The Chairwoman pledged to seriously consider policy obstacles facing PetroVietnam, asking the NA’s specialised committees to handle the problems under their jurisdiction so as to help the firm’s projects be carried out on schedule. Chairman of PetroVietnam’s Members Council Tran Sy Thanh affirmed that the whole staff of the group will keep solidarity and make more efforts to fulfil their tasks. At a recent meeting reviewing its performance last year, PetroVietnam reported that it exploited 23.98 million tonnes of oil equivalent, including 13.97 million tonnes of crude oil, respectively up 5 percent and 5.6 percent from the set targets. Meanwhile, 10.01 billion cubic metres of gas was exploited. It produced 1.63 million tonnes of nitrogen fertiliser, rising by 5.7 percent from last year’s target. PetroVietnam also surpassed financial targets as it earned 626.8 trillion VND in revenue, up 18.1 percent and 25.9 percent from the set target and the previous year, respectively. It contributed about 121.3 trillion VND to the State budget, up 64.3 percent and 24.3 percent. The Vietnamese Embassy in Sweden has organised a ceremony to mark the 50th anniversary of diplomatic ties between Vietnam and Sweden in Stockholm capital city. 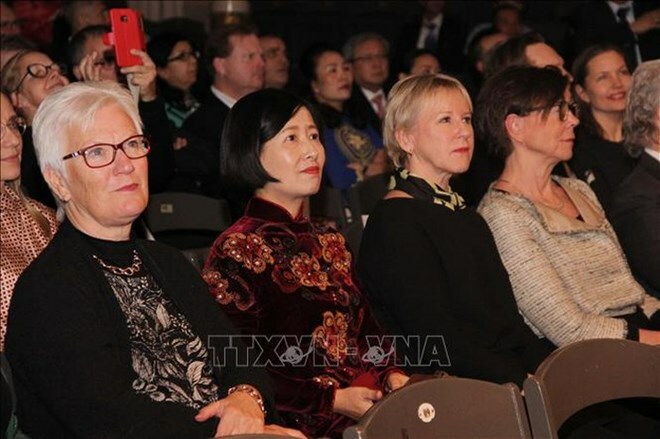 Swedish Minister for Foreign Affairs Margot Wallström, First Deputy Speaker of the Riksdag (Parliament) Åsa Lindestam and Second Deputy Speaker of the Riksdag Lotta Johnsson Fornarve were among the guests at the January 15 event. Addressing the ceremony, Vietnamese Ambassador Doan Thi Phuong Dung spoke highly of the traditional solidarity and friendship between the two countries over the past five decades. She used the occasion to thank the Swish Government and people for their valuable sentiments and support towards Vietnam during the past struggle for national independence as well as the present cause of national development. Sweden was the first Western European nation to recognise and establish diplomatic relations with Vietnam, she said. The diplomat highlighted Sweden’s non-refundable aid of 3.4 billion USD to Vietnam over the past 50 years through the Swedish International Development Cooperation Agency, which, she said, has significantly contributed to the country’s socio-economic development as well as its reform and international integration efforts. In 2018, two-way trade exceeded 1.4 billion USD, she said, adding that Sweden ranked 34th out of 130 countries and territories investing in Vietnam. The number of about 50,000 Swedish tourists to Vietnam last year has signaled great potential for stronger collaboration between the two countries, Dung noted. The ambassador expressed her hope that the bilateral relationship will continue to be consolidated and strengthened, for the sake of their people, and for peace, cooperation and development in the world at large, especially in the context of the bilateral relationship changing from development cooperation into the period of equal and mutually beneficial partnership, focusing on affiliation in trade-investment, education-training, health care, science-technology and tourism. The embassy will carry out various activities to mark the 50th anniversary in 2019, including a film week and a photo exhibition, aiming to promote the land and culture of Vietnam as well as trade and investment links between the two countries, according to the diplomat. In her remarks, Margot Wallström noted with pleasure socio-economic achievements Vietnam has recorded and affirmed that the Swedish Government always attaches importance to the fruitful relationship with Vietnam. Sweden is Vietnam’s trust-worthy partner and will continue to accompany the country in the time ahead, she said, voicing her hope for stronger friendship and mutual understanding between people of the two countries and expanded multi-faceted collaboration. Echoing Dung’s views, the minister said Vietnam and Sweden hold substantial potential for cooperation. About 50 Swedish companies are operating in Vietnam, including multi-national groups like Ericsson, Tetra Pak, Ikea and Electrolux, she said, stressing that urban transport, health care, technology and education are the areas that Sweden has strength and Vietnam has demand for cooperation. The minister said she hopes that the Vietnamese Government will create more favourable conditions for Swedish firms in the country, thus enhancing the bilateral economic ties. The Party Central Committee’s Economic Commission is ready to work closely with the Development Research Centre (DRC) of the State Council of China to realise important common consensus reached by leaders of the two Parties and States, towards further deepening Vietnam – China comprehensive strategic cooperative partnership. 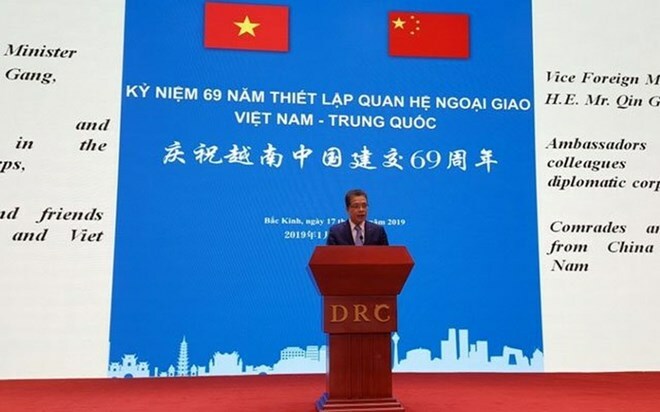 Head of the commission Nguyen Van Binh made the statement in a reception in Hanoi on January 17 for DRC Vice President Long Guoqiang on the occasion of his trip to attend the Vietnam Economic Forum 2019. Binh said amid the rapid and complicated developments in the region and the world, the increasing sharing of experience to promote practical and effective collaboration in diverse areas is especially important. Long, for his part, said the Party, State and people of China attach importance to ties with Vietnam. He wished that leaders of the two Parties and countries would direct ministries, agencies and localities to foster exchanges and political trust for the healthy, stable and long-term development of bilateral comprehensive strategic cooperative partnership in the future. Officials and staff of the Presidential Office should uphold their responsibility and overcome all limitations to improve the quality and efficiency of their performance in 2019. The statement was released by Party General Secretary and President Nguyen Phu Trong at a conference held by the Presidential Office in Hanoi on January 17 to review its performance in 2018 and set tasks for 2019. Speaking at the event, the Party and State leader stressed that the country’s achievements in all fields were contributed to by the Presidential Office. He also noted that, in the past year, with new developments, the Office promptly took measures to ensure its smooth, quality and effective performance. The Party General Secretary and President asked the Office’s staff to constantly study and train to improve their professional qualifications and working capacity. The Presidential Office should actively and smoothly coordinate with the Party Central Committee (PCC) Office, the Government Office, and the National Assembly Office, to maintain the monthly meeting mechanism. On the occasion of the upcoming Lunar New Year, General Secretary and President Nguyen Phu Trong extended his best wishes to the officials, civil servants and employees of the Office. At the conference, individuals and collectives received Labour Orders, third class, and many other awards for their outstanding achievements in the last year.